We all have that pair of skinny jeans that we almost squeeze into. Well, there may be a new tool on the market that will make them fit once and for all. 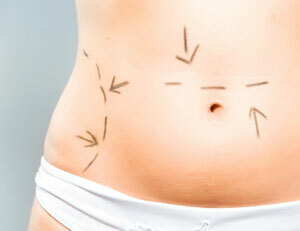 Liposonix – a procedure that was cleared by the FDA in 2019 – uses high-intensity ultrasonic energy to remove fat from the under-layer of the skin without damaging the skin or organs. Exactly how does it work? A special machine uses ultrasonic energy to target the fat located in the layer under the skin known as the subcutaneous layer. The zapped fat is then eliminated by the body’s immune system and removed by the liver. The treatment lasts approximately one hour, and the results are usually maximized at eight to 12 weeks. When we talk about healthy eating and dieting, our focuses is almost entirely on people who are overweight. Obesity-related diseases account for just about 10 percent of medical costs in the United States, which comes to an estimated $147 billion each year. That said, according to recently released research, people who are underweight are 40 percent more likely to die in the first month after surgery than those who are overweight. The researchers believe that a patient’s body mass index (BMI) can be used as a predictor for risk in recovery time after surgery. The U.S. Centers for Disease Control and Prevention defines those who have a BMI of 18.5 to 24.9 as normal weight, so anything below that range fits in the underweight category. Bills are piling up for Barbara Warnock-Morgan. After several years of diets that just didn’t work, she decided to get an adjustable gastric banding in November of 2019. 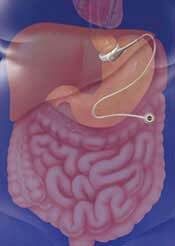 Adjustable gastric banding, a form of bariatric surgery in which a silicone band is placed around the top portion of the stomach, costs $15,000 to $30,000. Though the 46-year-old, who lives in Brooklyn, was fortunate to have her insurance cover the costs, she will have to pay for body-contouring cosmetic surgery, also known as a “body lift,” to tighten up the loose skin. Update: Our resident mental health expert, Brooke Randolph, LMHC, weighs in on the topic in a featured story at Yahoo Shine: Teen Weight Loss Surgery Unhealthy for Many Reasons. There is some alarming news coming from a new study: Overweight teenagers are undergoing laparoscopic gastric band surgery in increasing numbers, even though the procedure is not approved for anyone under 18 years old. Researchers examined a database of bariatric surgeries in California, and found that gastric band operations increased seven-fold from 2005 to 2019. They also found that 590 people between 13- and 20-years-old underwent gastric band or gastric bypass surgery during the study period. Another point noted was that 93 percent of the weight-reduction surgeries were performed in hospitals that are not affiliated with nationally recognized children’s hospitals. There have been varying publicly-funded interventions with regards to the fight on obesity. But none are as direct as the one being initiated in Australia. When I was contemplating surgery on my hip, the thought of taking three (or more!) months to recover had to be balanced with the hope of being able to run, dance, and even sleep without pain. I had learned to live with, and to some degree tune out, the nagging ache, but I was not sure how I could handle limiting myself and my activities for so long. My image of my self includes physical activity and fitness, as well as knowledge and skills that allow me to teach dance. All of those things would have to be put on hold. I am also highly independent, and surgery required me to stay with my parents for a week and continue to be dependent on friends for rides and assistance for several weeks.